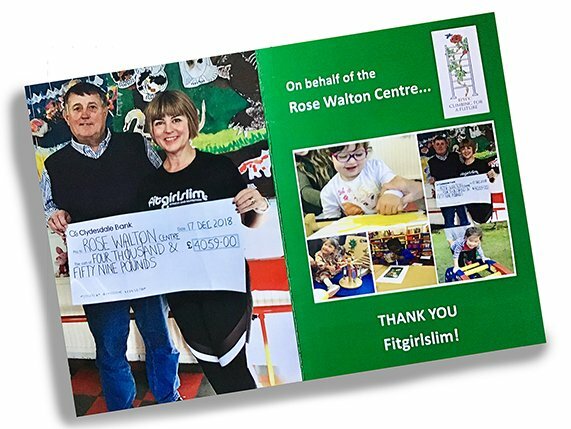 Our Charity Year for the Rose Walton Trust proved to be a very successful fundraiser. We can all be proud of our achievements as a club and Fitgirlsim is enormously grateful to all of you for embracing it all without a second thought. 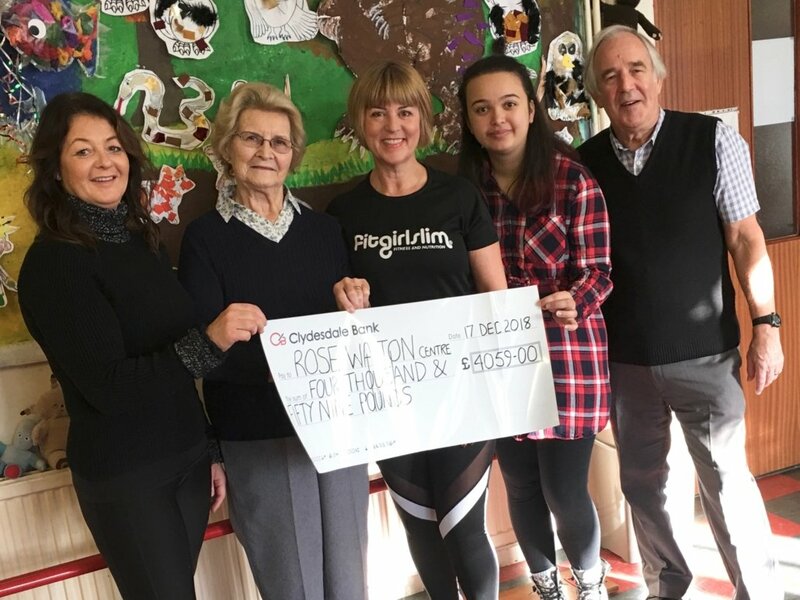 Special Thanks should also go to Georges Restaurant in George Lane and Papillon Restaurant in Chigwell for their support and donation of prizes. The icing on the cake was being able to present a cheque to the Rose Walton Centre on 17th December for over £4000.00. We have made a big difference to this local charity and every single penny goes towards helping children with cerebral palsy. Whilst we were visiting the centre, news came through that one of the previous pupils (whose parents had been told he would never walk, talk or do anything) had just passed his driving test. Needless to say it became an emotional cheque presentation. Since then, we have had further news of an anonymous businessman making a donation to RWC after reading about our fundraising efforts locally. This proves we are raising awareness and our efforts are reaching out to the public. Thank you and well done, we couldn’t have done any of it without you.